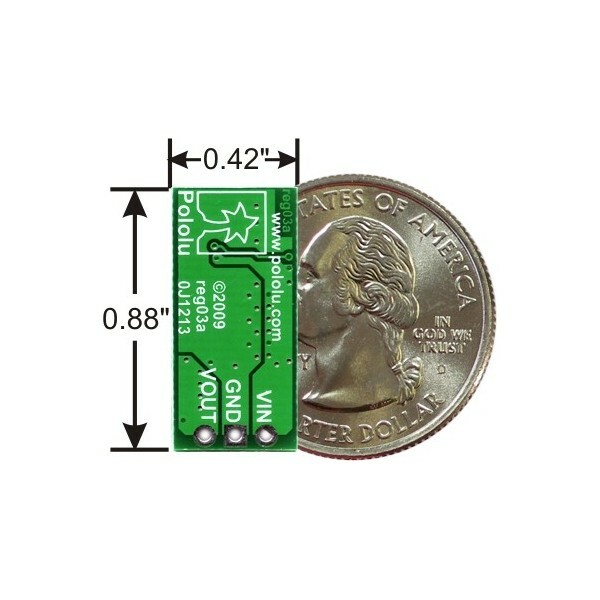 Converter with adjustable output voltage ranging between 4 and 25 V. The maximum current up to 2 A. the input Voltage is 1.5 V to 16 V.
The regulator increases the input voltage in the range of 1.5 V to 16 V output adjustable via potentiometer from 2.5 V to 25 V, provided that the input voltage cannot be higher than the output. 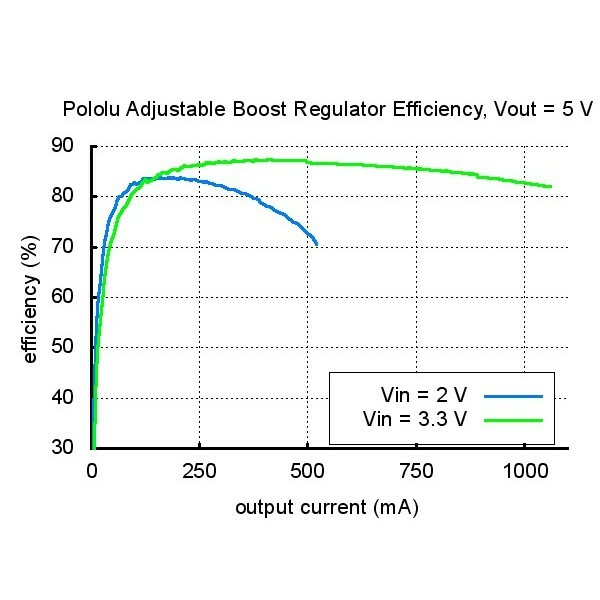 Continuous current up to 2 A allows the power electronics and actuators, e.g. 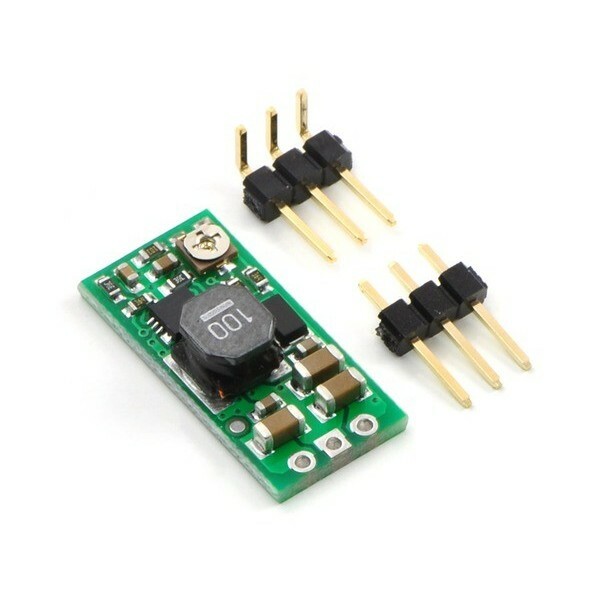 DC motors. 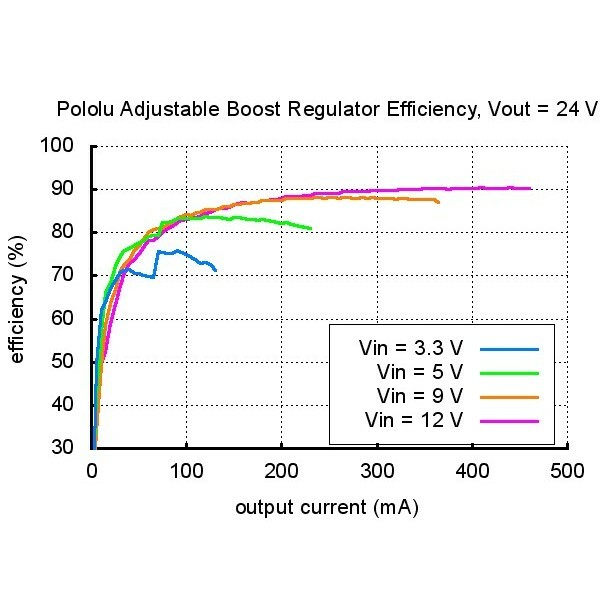 Chip logic that requires a voltage supply of 3.3 V or 5V with a small low-voltage batteries. Connectors respectively signed on the Board. 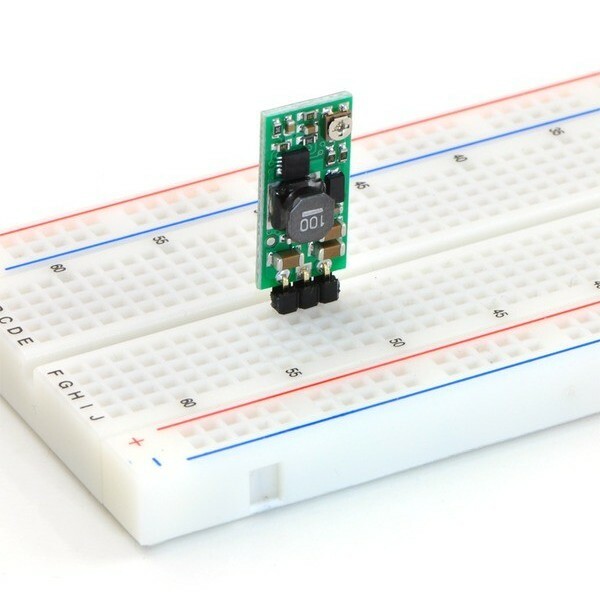 Terminal pitch 2.54 mm is a popular connectors goldpin, allow for installation of the module on the Board contact or connect with wires. 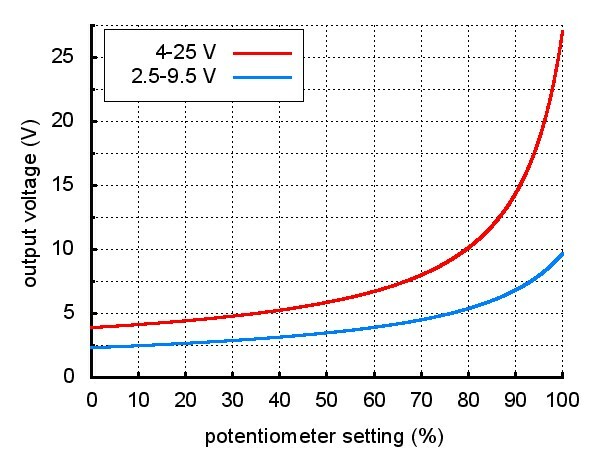 Voltage is set using the potentiometer. Turning clockwise increases the voltage. 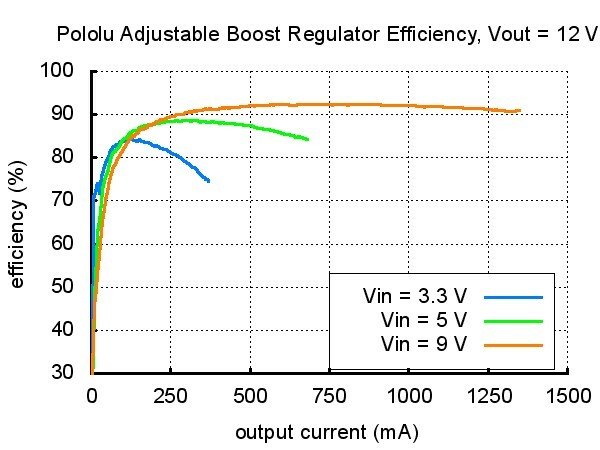 The efficiency of the Converter depends on input voltage and output voltage. The average is from 80 % to 90 %. 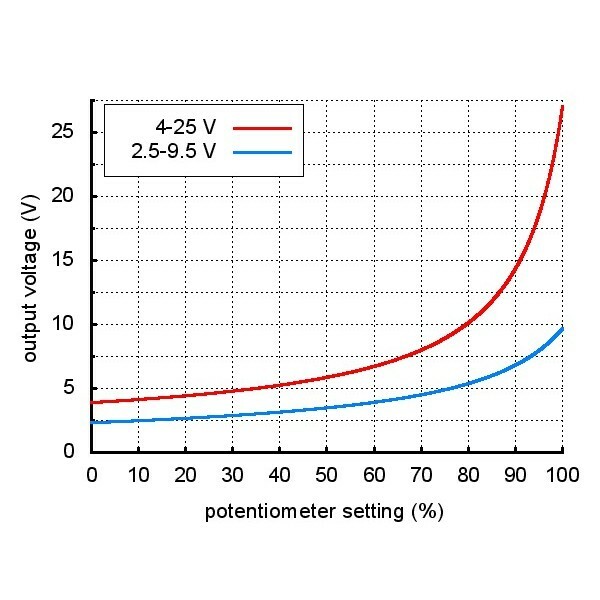 The maximum current which can provide the layout, 2 A. Fig. 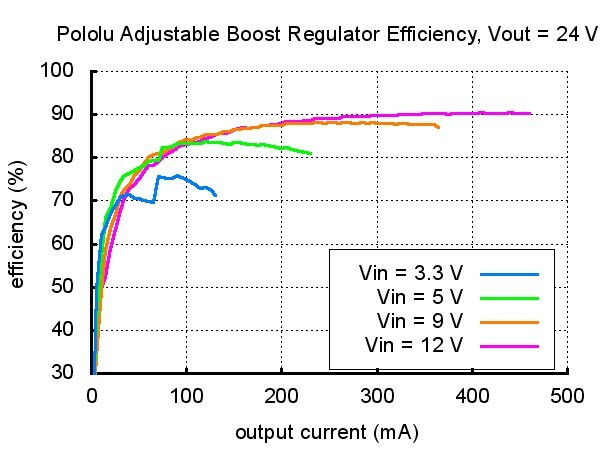 2: system Efficiency with output voltage of 5V. Fig. 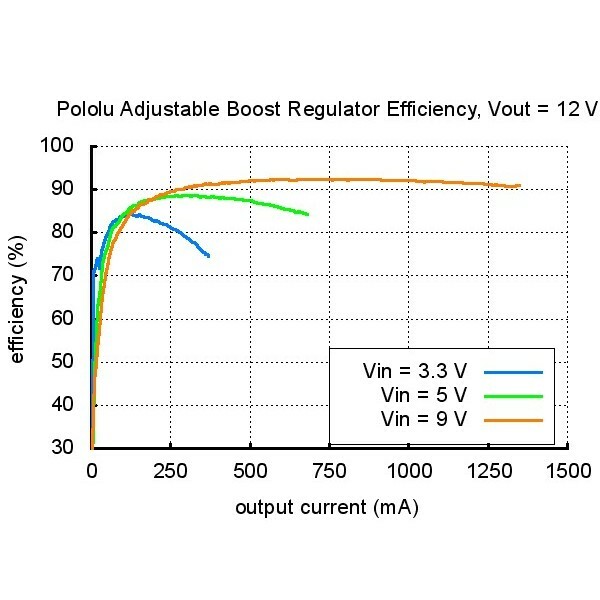 3: the efficiency of the system with output voltage of 12V. Fig. 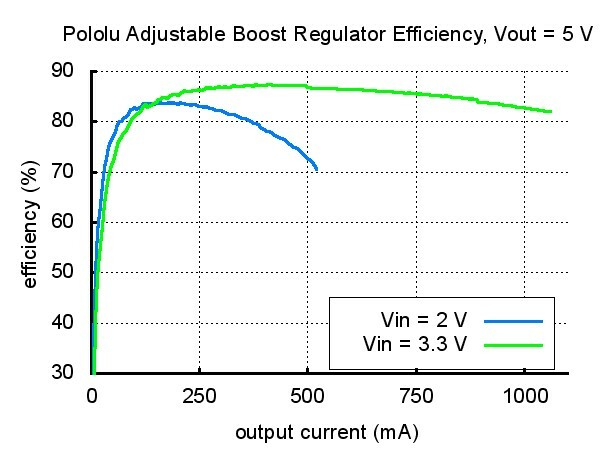 4: the efficiency of the system with output voltage of 24V.